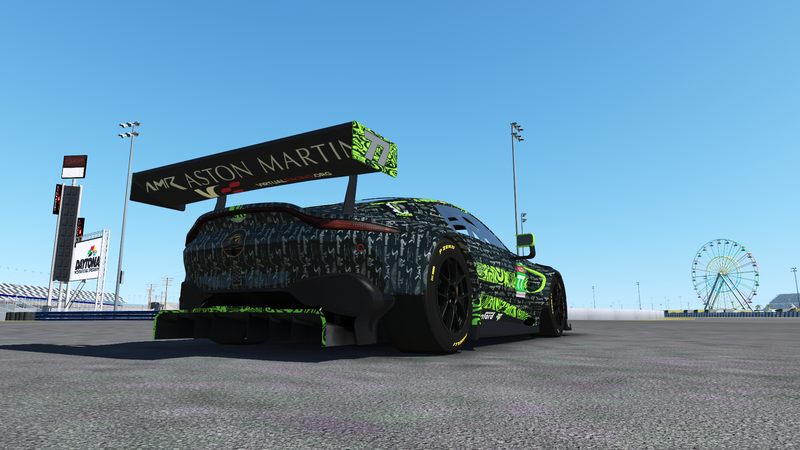 Post your RF2 car skins here. Discussion in 'Third Party Content' started by DJCruicky, Sep 5, 2012.
fsuarez79, BlkJello, Alex72 and 6 others like this. Here's another Oreca 07 skin, enjoy. davehenrie, mr.Sw1tchblade, philmcqueen and 15 others like this. Here's a Bentley for a change, enjoy. 4F0X4, davehenrie, philmcqueen and 6 others like this. mr.Sw1tchblade, philmcqueen, GeraArg and 11 others like this. Schpidie, mr.Sw1tchblade, philmcqueen and 7 others like this. Dont know how it is with rF2 but when i made a few skins for AC i could look at them in showroom and as soon as i saved the DDS in Photoshop i could look at it in real lighting of the sim and inspect it from all angles in 3D. Also, i guess, in later Photoshop versions you could look at it in 3D while working with it and actually paint it in 3D. At any rate, AC's program made it easy to use any program just to be able to look at your work instantly, and then correct any issues within seconds and look at it again. I havent even tested to do anything for rF2 as in my imagination Everything is much harder in rF2. I have RF2 open in windowed mode in showroom, and then every time I overwrite the DDS to use as my skin I hit reload and it'll apply the updates that way. Good for testing lighting on colours and making sure lines add up. 4F0X4 and Alex72 like this. Ah thats great. Didnt know that. FuNK!, Oldseb, Alex72 and 2 others like this. juanchioooo and rubennaatje like this. philmcqueen and GeraArg like this. What's going on with the lights? Track and car, looking a bit ordinary! Is this what low res looks like? The track lights may be overwriting the cars light material. 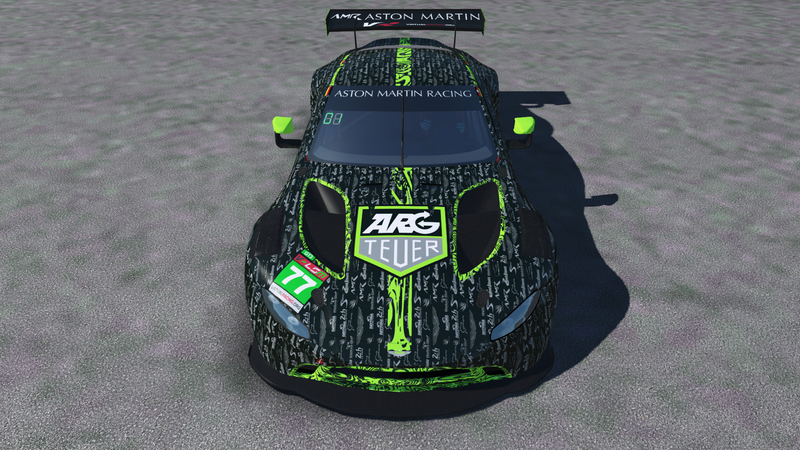 The car is the latest Aston Martin "paid" mod from S397. So why is there a materials issue? I want buy it. I've got the others and can pick the crap out off all of them for bad graphics. From what I've read here these new GT3 pack cars are worse! Stupid mistakes that should never be in a "free" mod, let alone a "paid" one! Track lights overwritten??? By what? This materials naming issue that has plagued rF2 from the start is total crap. 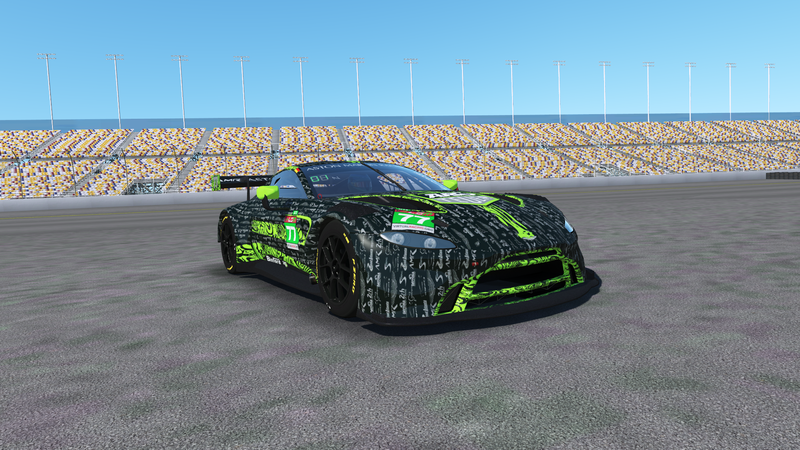 No other game has this and rFactor never had such a thing. So why is it in rF2 at all? After 7 years off rF2 it's still creating problems. Makes no sense that so many things that came up right from the first release off rF2 7 years ago are still causing headaches today.